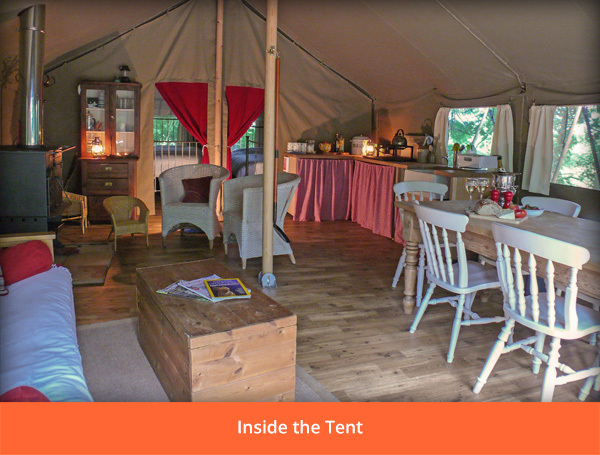 The tent is set on top of a wooden deck; enclosed by a hand-made chestnut fence, it really is very civilised. 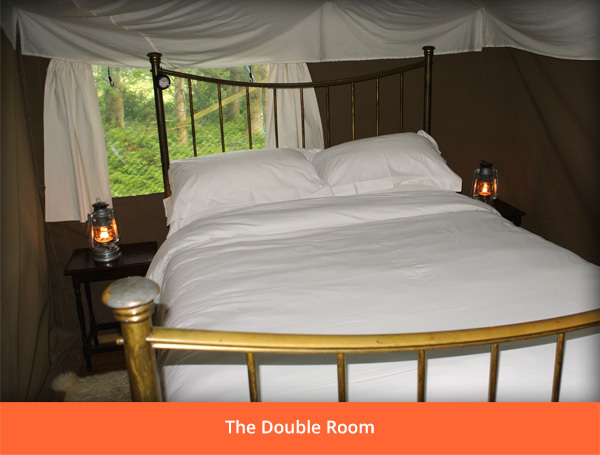 There are two bedrooms (a double and a twin) and a sofa bed. The kitchen is extremely well equipped and there’s a dining and sitting area with wood burning stove. 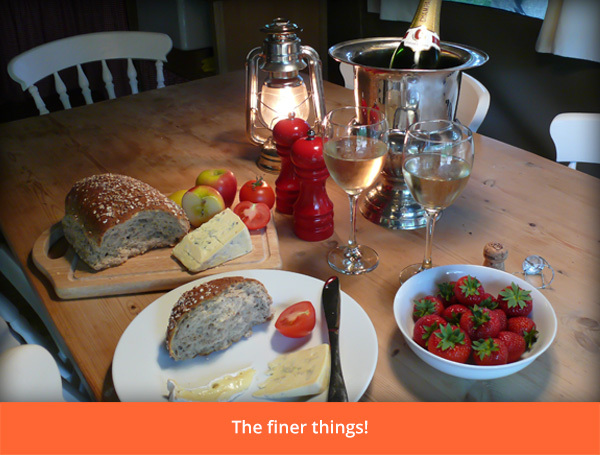 Cooking can be done inside on gas hobs or outside barbequing over an open fire. There's a wood-fired oven and a pot for cooking casseroles over the campfire. While we aim to provide most mod cons, the camp is off the grid, so no hair dryers or iPad’s - just let go and get back to nature. 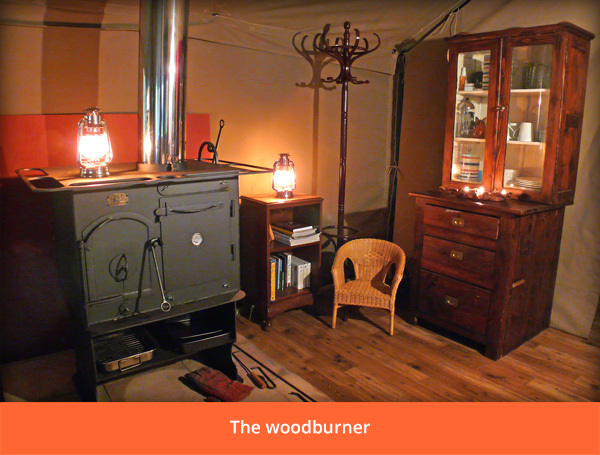 There’s a gas-powered fridge and lighting by hurricane lamps and lots of torches. 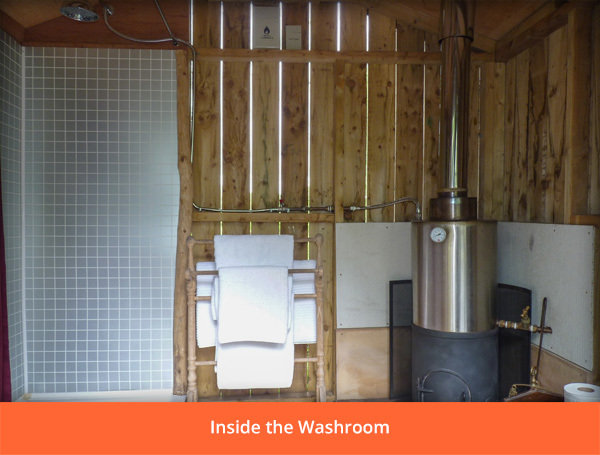 You also have a wood powered shower and a composting toilet both in their own little wooden hut. 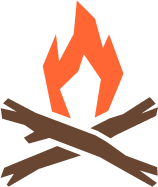 And of course no proper camping experience is complete without a decent camp fire. If you’d like to work out some of the stresses and strains of city life, then you can chop your own firewood - it's surprisingly therapeutic! Everything's here - sheets, bedding, tea, coffee, fresh herbs, towels, torches, cooking equipment, tea towels, eco-friendly washing-up liquid, shampoo. All you need to do is pack your clothes! You don't even need to bring the groceries as there's a great farm shop at Powderham Country Store and the local Kennford Post Office and Stores, has everything and is always open. If you’ve got little people we can provide a cot, highchair, potty etc, or if there are any people with disabilities in your party, please contact us to discuss facilities. We aim to make The Wood Life as inclusive as we possibly can. We’ll be there to show you where everything is and give you some pointers when you arrive. Sorry dogs are not allowed in the camp. A huge thank you to Tom Newman for this wonderful video. 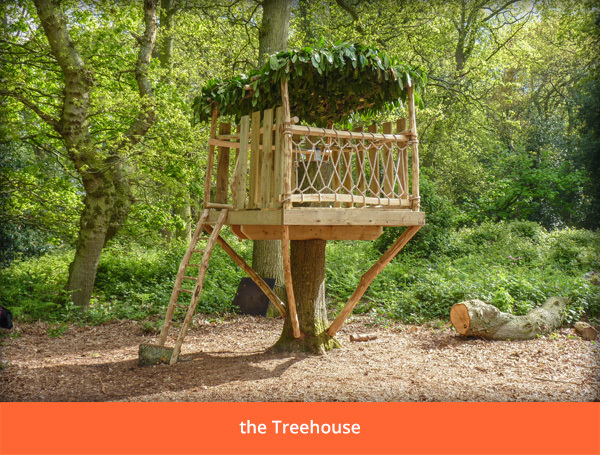 Featured in "10 of the best family campsites in Devon"